If you are looking for a heating and air conditioning contractor in Redding or the surrounding area, Bickley's is the one to trust. We provide HVAC services including repair, maintenance & installation of heating & cooling systems. Our years of service & customer satisfaction is why you should call Redding's best HVAC contractor, Bickley's Air Conditioning & Heating! We install innovative and reliable products from York. From York's Affinity™ Series to their Latitude™ Series - you will find an HVAC system that will make your home comfortable within your budget. 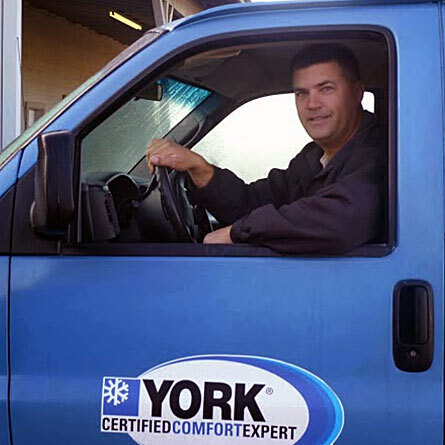 For over 140 years YORK® has been committed to building quality home comfort products. 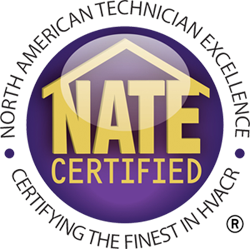 Bickley's is a York Certified Comfort Specialist which means, you'll work with NATE certified technicians - an industry-recognized, third-party designation of excellence and your installation is backed with a 100% Satisfaction Money Back Guarantee. If you're wondering, how much is a new hvac system? Call us for a free in home estimate on a new HVAC system. If your home doesn't have ducts or you have a room that needs heating and cooling, we are a Mitsubishi Diamond Contractor. We install ductless heating and cooling in Redding & the surrounding areas. Installing a traditional, ducted system can take several weeks and can disrupt daily activities in the home. Ductless systems can be install quickly, and depending upon the number of indoor and outdoor units required, can be installed and running in as little as one day. Bickley's is also a QuietCool dealer. A whole house fan from QuietCool is like free air conditioning. The whole house fan pulls air in from open windows and exhausts it through the attic and roof. 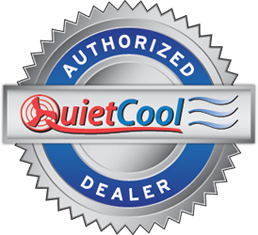 QuietCool saves customers up to 50-90% off their AC related electricity costs. By cutting down air conditioner usage, and maintaining comfort, customers are very happy after installing QuietCool.